Feel unsteady when riding slow? Ride around the block to avoid a U-Turn? Avoid making slow tight turns in parking lots? Drop your motorcycle when you are stopped; or almost stopped? If the answer to any of the questions above is yes, then the Ride Like A Pro Training will help you. Police Motor Officers are the top 2% of riders in America. They are able to handle a 800 lb. motorcycle with ease. They are able to do this because they know three techniques. When these techniques are properly used together they will allow anyone regardless of size or strength to handle even the biggest, heaviest motorcycle with ease and confidence. In this course you will learn the techniques and how to apply them properly. 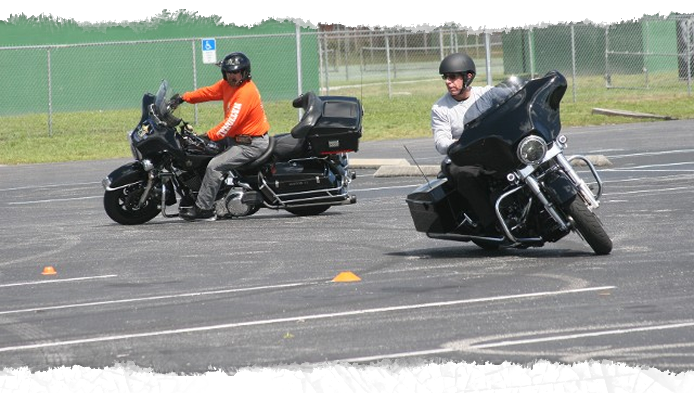 By completing this course you will develop skills that will noticeably set you apart from other riders. Private Classes Are Available On Request. Call or E-mail For Information. 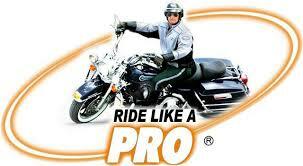 We now offer a "RIDE LIKE A PRO NEXT LEVEL TRAINING COURSE. The Ride Like A Pro Advanced Rider Training must be successfully completed prior to this training. Call or E-mail For Information.